I often see questions on forums and social media relating to planning trips over in France and try to provide my experience where I can so I thought I’d share a few things that I have picked up over the years of fishing on the continent, to ensure you are fully prepared for your trip. For this part of the article I want to break it down into the three most important aspects of what you need to do at home: Planning, Research and Preparation. 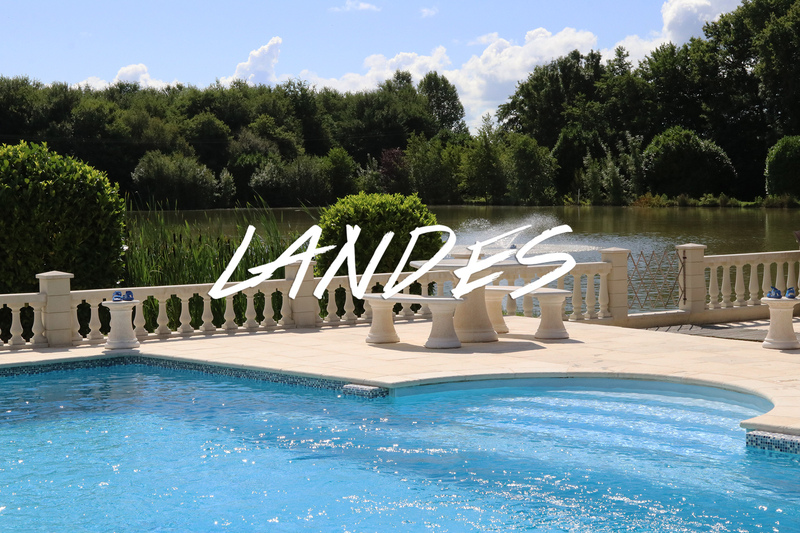 There is a bewildering choice when it comes to carp fishing in France and it’s understandable that many people are faced with a daunting decision when it comes to where to fish. Many anglers may only get one week in a year or perhaps only once every few years to head across the channel and they quite understandably want to ensure their time and money is well spent and they have a very memorable trip. The first and most important thing to determine is what is your goal? Are you looking to catch numbers of fish, are you wanting to sit it out and try to smash a PB or is it a holiday with the family or perhaps a social with some friends that you‘re after? What suits your style of fishing? Once you’ve decided what the most important reason is for going, you need to think about the kind of places that best suit your style of fishing. If it’s your first time over in France then the best bit of advice I can give is try to look for a similar type of water to what you fish in the UK. It’s probably not the best idea to book a week on a wind-swept big water if you’re only every used to fishing smaller, more intimate venues at home. Unless you’re looking to push your boundaries you could end up making life hard for yourself and coming away disappointed. On the other hand, if you’re a big water specialist used to casting 100 yards or more, are you going to be comfortable on a smaller water with big fish that is dominated by bait boats? Do not be fooled into thinking that just because a water is small it is easy. I’ve often found the opposite to be true! The fish are much more concentrated and so is the angling pressure making them quite a challenge to catch! Another thing to consider is travelling distance. Whilst the road network in France is an absolute breeze in comparison to the pot-holed, cone infested hell that we face in the UK, you should bear in mind how long you’re prepared to drive. 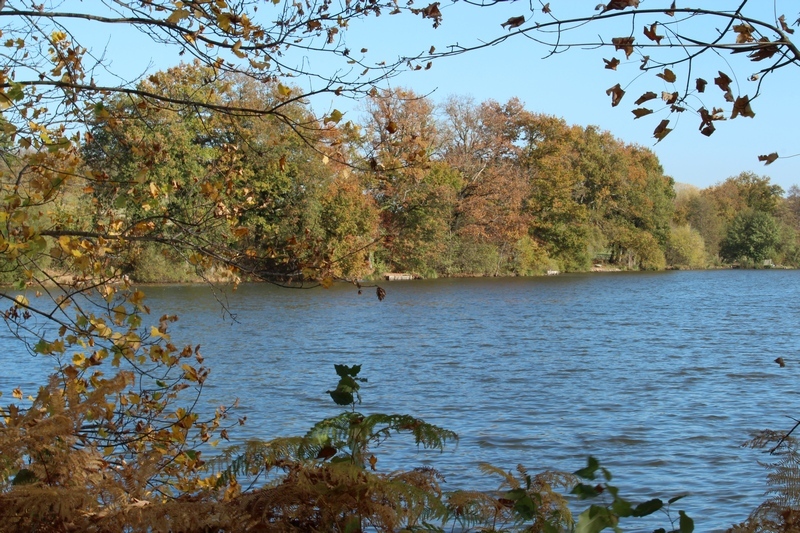 If you’re looking for carp lakes close to Calais then you should take a look at Deux Iles, Molyneux or Beaurepaire. Hopefully once you’ve considered the points I’ve raised above you should be in a position to whittle your selections down to a shortlist of around half a dozen lakes. 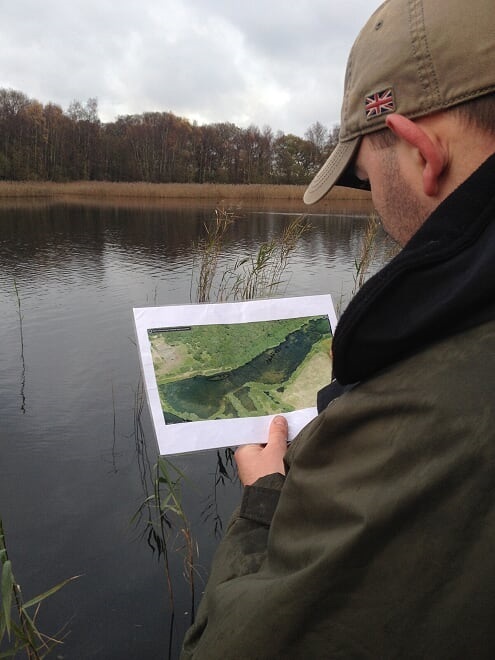 The next most vital thing to do is read through the catch reports on the Angling Lines venue pages, as they are a fantastic resource. Please ensure though that you pay particular attention to the feedback on the weeks that you are considering booking a trip. If you’re planning a trip in May, I’d suggest paying more attention to the feedback from May the year before than other times of the year. Different times of year can yield different catch rates so don’t have your expectations set by what happened in the autumn if you’re going in the spring, as the carps’ behaviour will more than likely be quite different! Another note of caution is to bear in mind one crucial point that skill level and standards vary from angler to angler, so the feedback in general is as much a reflection of the angler’s ability as the potential of the lake. I’d like to make it clear that the above statement is absolutely not intended to be a criticism of any anglers, merely a realistic observation. I myself have suffered blank and bad sessions over in France in the past and some of the responsibility for that falls on my head so I’d hate for someone to be put off from fishing a lake because my feedback showed that I wasn’t able to produce the goods! Hopefully by now you have made your choice and booked your week. Now comes the science part! If you’re anything like me, once you’ve had a trip confirmed, there won’t be a minute of the day when you’re not thinking about it. You need to harness that motivation and do your homework in order to find out everything you can on your target. My first port of call is always Google Earth and Bing Maps. Getting an aerial view of a target water is a great starting point in my opinion and some of the imagery available nowadays -provided the lake isn’t silty and heavily coloured- can provide some great insights into depths, weed beds, bars, islands etc. To make it easy you can find the google earth view of each lake on the Angling Lines website, for example take a look at the aerial map of Laroussi here. I will usually screen grab a shot of the lake and then print and laminate a copy so that I can make notes and observations on the map, both at home and when I‘m on the bank. Google Earth has a fantastic measuring tool which can provide you with distances in yards, metres or feet so you can get a very accurate idea of how far a point of interest is from the bank. This can be a brilliant shortcut to finding features when you’re on the ground so don’t ignore it! 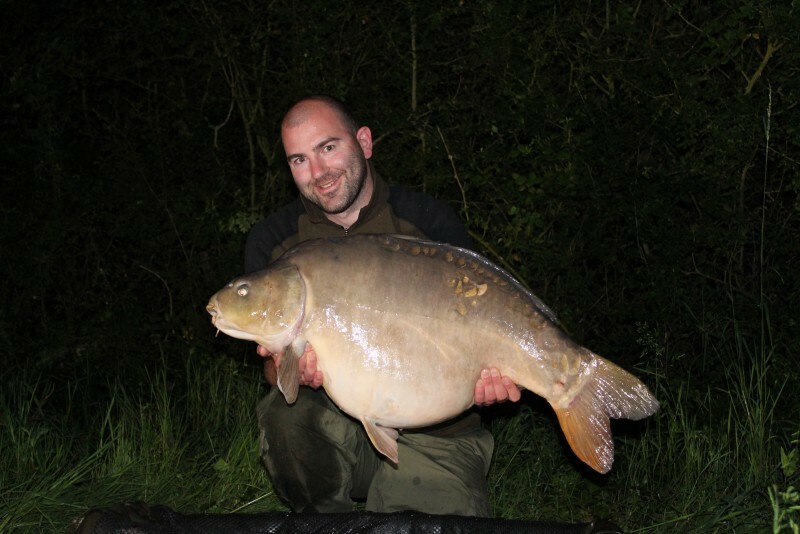 The next obvious thing to do is have a look at the lake pictures on the Angling Lines venue page. Some of the waters have even got pictures of them drained down so print these off and keep them with your maps. These can then be used to triangulate reference points against your aerial shots. There is a good level of information about each of the Angling Lines venues on their pages so make a note of what substrate you are fishing over, so that you can prepare accordingly. 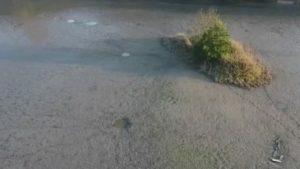 Knowing in advance whether the lake bed is silt, gravel, clay or sand will enable you to adjust your tactics to suit whichever situation you’re faced with. Finally check out all the videos on the lake, and watch them over a few times, paying attention to the details in the background as much as anything – this might just give you that key insight to help you prepare adequately! With your homework done and all your information gathered, you can begin to prepare your gear. I can speak from bitter experience when I say that the more preparation you can do at home the better. Having everything organised and ready to go as soon as you hit the bank will ensure you’re focused on one thing alone, catching the fish! Fellow angler Pat Gillet published a very thorough French fishing trip equipment checklist which may be a useful starting point if you don’t already have one. I’ve been on trips where I’ve had the gear ready two weeks before I set off and I’ve had trips where I still had all of my gear spread over the kitchen floor at 1am on the day of departure. It’s not hard to guess which was the more successful trip…. I read a lot of articles by the brilliant Paul Garner and in one recent piece he mentioned about “controlling the controllable”. What he meant by this was that by adequately preparing everything that is in your power to control (such as clean and functioning kit, fresh rigs, pin sharp hooks and fresh batteries in your alarms) you have more time to focus on the things that you can’t control, namely fish behaviour and external conditions. His point may sound obvious but how many of us have had the “that’ll do” thought when sticking an old rig on with a not so sharp hook, or not changing that slightly worn mainline? In my experience that mindset is fatal and needs to be replaced with “is that good enough?” – If the answer is no then you know what you have to do! 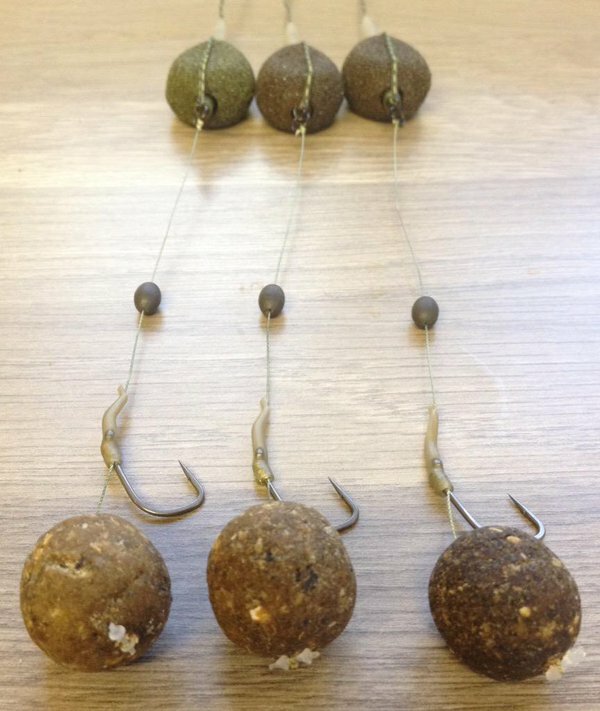 If there’s one question I see being asked time and again it’s about what the best rig is to use on a lake. So many people make the mistake of believing that their approach in the UK needs to drastically change to catch carp over in France. Speak to any top angler and I bet 99% of them would say the same thing; stick to your guns! A carp is a carp in France, England, Germany, Spain or anywhere else for that matter and, if your rig catches carp for you at home, why change an already proven part of your approach?! All you are doing is altering something in which you already have confidence and, if you find that things aren’t working for you on the bank during your trip, you have just created an uncertain element to your equation. The only thing I would say is worth considering is to possibly change the hook size to something slightly larger as the fish are usually of a bigger stamp, but it’s not always essential. The second question that gets asked a lot is that of bait. For all intents and purposes, I would argue that the same point applies to bait as it does with rigs- stick to what you’re confident in. 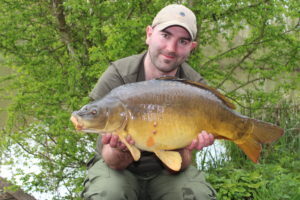 I’ve used baits at waters at home that I’ve used in France with similar success and having confidence in a good quality bait is as essential as having the confidence in the rig that you’re sticking it on. Bait is a massive subject in its own right and I have to admit to being no expert in this department. What I do know is that if you’re confident in what you’re putting in the lake, it makes a massive difference. It goes back to my point about controlling the elements in your own equation. 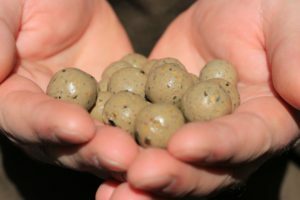 I don’t want to muddy the waters on this topic too much but I would say that on some occasions it’s worth bearing in mind looking at an alternative bait, in addition to your regular one, especially if your usual bait is something like a heavy fishmeal and you’re going in the colder months, as this can be detrimental to the carps’ well-being. To summarise this section, I would say my number one bit of advice would be not to think that you have to radically change your approach, so don’t use your trip as a time for unnecessary experimentation. I’m not going to dwell on this too much but I do feel it’s worth noting that you should focus on preparing yourself just as much as your tackle. By that I mean getting things like all of your documents in order and in a plastic documents folder. I keep all vital info, passports, tickets etc in a folder that is easy to access when I’m on the road. Knowing everything is together and organised makes the journey so much simpler and eliminates any unnecessary stress. After all it’s meant to be a holiday so make life a bit easier for yourself. It’s obvious but make sure your vehicle is prepared for the journey. I’ll not labour this point too much but it’s common sense to have it checked and in working order so that you don’t end up spending half your holiday on the hard shoulder in the middle of nowhere instead of hauling carp on the lake! Learn a bit of the lingo! The final point in this article is to try and learn a bit of the language. It’s been years since I had to recite French verbs tables whilst sitting bored out of my mind at school, but I’ve managed to hang on to enough of the language to have a basic conversation and I can tell you it makes a massive difference. Being willing to at least attempt to speak their language ensures that most French people will warm to you a lot more than just shouting at them in English and expecting them to understand. You’re in their country remember, so a bit of cross-channel diplomacy never goes amiss! Just be careful though as sometimes you can get more than you’re bargained for, as I experienced on a trip with my brother Matt. We decided to go for a pizza in a nearby town and when we’d finished our meal Matt asked me to translate to the waitress (who was comfortably in her late 70s) that he thought the pizza was beautiful. I did as he asked and she left with a huge smile on her face, a twinkle in her eye and a spring in her step like she‘d suddenly got 40 years younger. It was at that point that my brain replayed what I’d said and I realised I had got it wrong and called her beautiful! Needless to say I paid the bill and legged it back to the lake in double quick time!